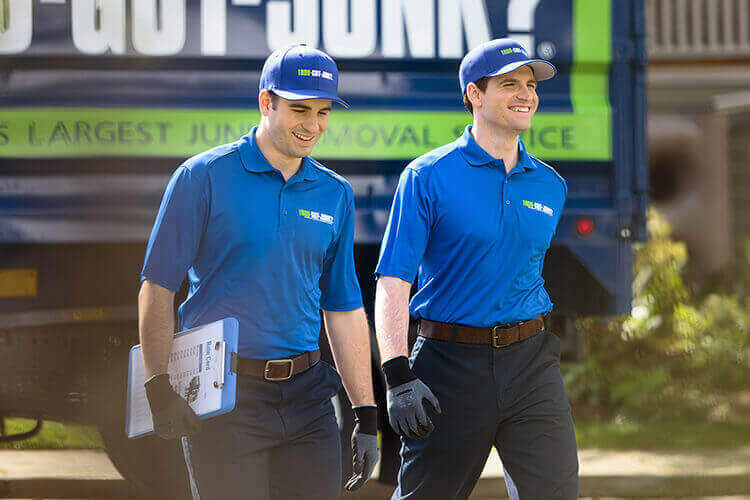 Garbage Removal & Disposal | 1800-GOT-JUNK? Your regular garbage disposal service likely has a long list of items they won’t take. In fact, most won’t even consider electronics, furniture, or organic material. They usually don’t make a habit of removing your rubbish from out of your building for you, either. That’s where 1800-GOT-JUNK? comes in. We’re a full-service alternative to standard garbage disposal companies – we do all the dirty work. As long as your junk’s not hazardous and we can lift it into our truck, consider it gone! We’ll even clean up the empty space after. Can you say that about your regular garbage disposal service? When you hire 1800-GOT-JUNK? 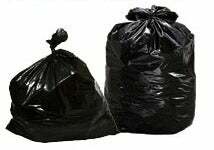 for your junk and rubbish removal needs, we do everything from start to finish, unlike garbage disposal companies. You won’t have to worry about hurting your back or damaging your home – we’ll take everything out to the truck for you without leaving a dent or speck of dirt behind. Simply schedule your garbage disposal appointment online or by calling 1800-468-586. Our friendly, uniformed truck team will call you 15-30 minutes before your scheduled 2-hour arrival window. When we arrive, just point to the rubbish you want removed and we’ll provide you with an up-front, all-inclusive price. Once you say the word, we’ll remove your rubbish from wherever it’s located and finish by cleaning up the area. Plus, we recycle and donate your rubbish whenever possible.